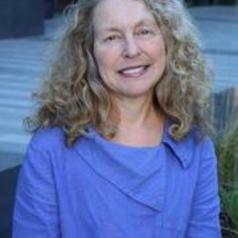 Professor Lisa Bero is a pharmacologist and researcher in evidence-based health care who is internationally renowned for her studies on the integrity of clinical and basic research evidence that is used to influence health policy, and the manner in which evidence is communicated to key groups such as physicians, policy-makers, journalists and the community. She leads the Bias and Research Integrity Node http://sydney.edu.au/perkins/research/current-research/bias-in-research.shtml and the Evidence Synthesis node http://sydney.edu.au/perkins/research/current-research/evidence-synthesis.shtml at the Charles Perkins Centre . Prior to joining the University of Sydney in 2014, she was Professor at the Department of Clinical Pharmacy and Institute for Health Policy Studies, University of California San Francisco (UCSF). Professor Bero is recognised for her methodological studies on bias (including publication/reporting, design and funding biases) in the fields of clinical medicine (pharmaceuticals), tobacco control and environmental research, and on the use and implications of the evidence for prescribing decisions/policy. Her expertise lies in investigating hidden biases in the design, conduct and publication of research, and includes ground-breaking work that demonstrated the selective reporting of data for drugs approved by the FDA (PLoS Medicine 2008) and a paper (BMJ 2012) which showed that including unpublished outcomes of drug studies in meta-analyses changes the results of all relevant meta-analyses. These findings have contributed to open access data reforms such as access to information from drug regulatory agencies and improved reporting requirements for clinical trials on the clinicaltrials.gov registry. Additionally her interest in evidence-based policy led to work examining influences on the production and dissemination of science. At the University of Sydney, she directs a multidisciplinary team analysing research quality (initially in nutrition research). She notes, “the overall objective is to improve the conduct and reporting standards of research and facilitate the development of sound evidence-based health policy that will help reduce the burden of obesity, cardiovascular disease and diabetes”. Professor Bero’s interest in medicines use in low-resource settings has seen her work extensively with the WHO as Chair of its Essential Medicines Committee, helping assess research submissions for categorisation of essential medicines.